7 January 2013 by . ‪The arrival of the New Year calls us to greater attention and to greater responsibility toward the work of God which we have recognized and for which we have offered our lives. In fact, today more than ever we are invited to actively participate in the realization of the plans of God for this time, as you will be able to understand from reading the message of Saint Michael the Archangel. ‪Reading it, you will become aware of the fact that it is something more than a simple message: I would define it a document that sets out the plans of God for the Earth and the entire universe. Therefore I consider useless my thoughts since they could add nothing to the strong content of the discourse of Saint Michael. ‪All I can do is to pray for you, together here with all my brothers and sisters, so that you can understand the importance of this message, and so that the place God has reserved for you in His plans and in this time may become ever clearer to you. ‪I bless you in Christ and I wish you a happy new year with the Lord. ‪God give you peace. “Dear brothers and sisters of the Earth, I bring you greetings of the Most High God and I am coming, by His order, to announce some important things for the future of all mankind. ‪As you well know, in the year 2012 that just ended, God asked mankind of the Earth if it intended or not to accept Jesus Christ as the Son of God and Savior, submitting fully to Him. ‪This response was the essential condition for the great universal mission of the Church, the people of God, to get started: to bring the message of salvation to every planet in the universe. ‪This mission was supposed to get started since Pentecost but it did not happen, as it has been amply explained to you in recent years. ‪It was God’s desire that the humanity of the Earth, at the end of 2012, would respond positively to His invitation and be at the head of the universal mission, because it was exactly on Earth that Jesus Christ became incarnate, died and rose again for the benefit of the whole humanity of the universe. ‪The brothers of the universe faithful to God, able to move freely in space, would have put their science and their means at the disposal of your humanity, operating in full communion with you in order to fulfill this sublime mission. ‪The universal mission of God’s people is a very important phase of the plan of God, through which every reality present in heaven and on earth will be recapitulated in Christ, to be delivered to the Father by Christ at the end of time. The recapitulation of the whole creation in Christ precedes the glorious coming of Christ, which will mark the end of the old creation and the beginning of the new creation. ‪Throughout your entire history, God has tirelessly called you to conversion, calling forth prophets and saints until sending His Son Jesus Christ. ‪Up to your days, God has placed at your disposal every means to help you understand your destiny. He sent you the Blessed Virgin Mary, Mother of Jesus and your Mother, who appeared countless times on Earth. ‪God did not hide from you anything about His plans: through Jesus Christ, He revealed to you His desire to be the Father of each person and commanded you to evangelize all nations; He spoke to you about the new creation. ‪The plan to recapitulate in Christ, all things in heaven and on earth, of which the Bible speaks about, has been announced and repeatedly explained to you, through the books and the messages you have come to know through this site. ‪God fixed the end of the year 2012 as the limit beyond which, in the absence of an affirmative answer from your humanity, He would have provided differently, that is: entrusting the mission to evangelize the universe to humanities faithful to Him, headed by one of these humanities. ‪The year 2012 is over and God wishes you to be made aware of what happened and of what is happening in the universe, starting with the Earth. ‪Thus, I am starting by telling you that God has acted deeply into the souls, and many of you have awakened. ‪The contents of the books and the messages that you have come to know through this site, reached where they were supposed to reach. God has His own means, ordinary and extraordinary, to convey His message to those who love Him, to those who have faith and are humble and generous, just as it is written: “…He will teach the humble His way”. God is God and nobody can hinder Him or stop Him. Therefore I can assure you that despite the obstacles and difficulties the spreading of these messages was deep and wide, both inside and outside the Church, beyond what you could ever imagine. ‪It was necessary to bring the people of God to the knowledge of such content. ‪In fact, they are not to be considered among the many revelations, but they are a powerful prophetic call for these times, closely linked to the apparitions of Our Lady of Fatima and Medjugorje, which have been a huge and direct intervention of God in your history, of which you are still not fully aware. ‪‪During these apparitions, Our Lady has touched many aspects of spiritual life, but too often Her words have been interpreted humanly, downgraded or silenced because uncomfortable. 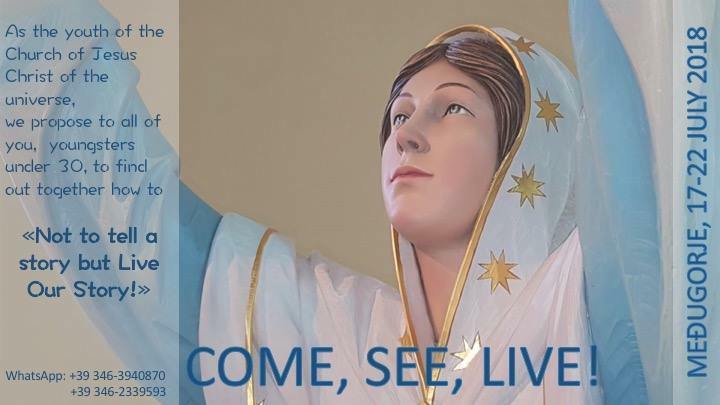 Everything that has been transmitted through this site represents the natural completion and the deepening of what Our Lady explained, on a more general level and with simpler language aimed at the masses of believers, both at Fatima and Medjugorje. ‪Based on what has been revealed to you in recent years many nuclei were formed on Earth, groups of people who want to actively participate in God’s plan to recapitulate all things in Christ. Despite the difficulties, a small remnant has been formed on Earth, faithful to God and ready to put itself at His disposal. ‪God is pleased with this little remnant; He loves and protects it. ‪However, the number of people ready to totally offer themselves, was judged not sufficient by God to face the mission of evangelizing the entire universe. ‪Unfortunately, most of the humanity of the Earth once again ignored or refused the invitation of God. Many Christians as well, were indifferent, others were openly opposed to this proclamation in the name of “sound doctrine”; others mocked the content of these messages, judging them strange, imaginative, outside the path of the Church. Everyone made the choice he considered appropriate, in the freedom of his conscience. ‪God waited patiently, without forcing anyone. ‪Now the time given to the Earth to make a decision expired, and God has taken His decisions, which I am summarizing for you in a few steps in order to facilitate your understanding and allowing you to reflect and pray. The mission of evangelizing the universe has been entrusted to humanities faithful to God, and a humanity in particular will be in charge of the entire mission. ‪Being in charge, in this case, has a very different meaning than what you mean on the Earth. In fact, it is not a matter of creating a hierarchy similar to that of the Earth, where someone orders and others obey, but rather to ensure the coordination of the various foreseen actions, to ensure that the mission will achieve its objectives. ‪All faithful humanities will act in unison and their communion will be their real strength, superior to the one of their means. ‪The Lord of the universe asked the faithful humanities to choose themselves the people they consider the most suitable to head the mission. ‪The people faithful to God chose the humanity of Alpha Centauri for its absolute loyalty, for its vast scientific and technological knowledge and for the location of its planet that makes it suitable as a base. These people will provide manpower, equipment, and also suitable spaces so that the brothers who will travel the universe might be able to rest and pray. ‪The inhabitants of the planets faithful to God who will not be directly employed in the mission, will have the task of praying and of offering themselves to God for the missionaries and for the peoples to be evangelized. God decided that the mission of the faithful brethren gets started today, the day in which the Church of the Earth recalls the Lord’s manifestation. ‪This is a very important day in the history of salvation. ‪Today you are commemorating the visit of the wise men arriving to worship Jesus, guided by a star. Many of you think this is a matter of legendary figures, but those wise men really came to see little Jesus. They were not coming from the Far East but from space. They were kings and priests of the humanities faithful to God. They came to worship God made Man, to promise Him loyalty and to place themselves at His disposal. In so doing, they were recognizing and accepting the redemptive work of Jesus Christ on behalf of all the faithful humanities. They came also to give thanks to the Virgin Mary and to venerate Her as their Mother; to thank and honor Saint Joseph, the righteous among the righteous. ‪Their spaceship stopped at the place where Jesus was and sparkled with a wonderful light; that light was the greeting of all humanities faithful to the Savior of the universe. ‪The people of the Earth saw that sign very well, and they considered it a particular star, a great phenomenon of nature. ‪Those men were coming also to meet King Herod and to inform him of what was happening. God wanted the people of Israel to be informed about the long-awaited event of the birth of the Messiah. Numerous times God sent messengers from other humanities to His people; for sure it was not the first time. People of the Earth did not always recognize them for what they were. Time after time they have mistaken them for angels, mythical figures, gods, etc. You know very well how Herod reacted; he become afraid of losing his throne and tried to eliminate the King of Kings by ordering a horrible massacre of the innocent, one of many in your history. ‪Showing Himself to those kings, Jesus presented Himself to all humanities of the universe faithful to God since creation who had prayed for the coming of the Messiah, who had helped the chosen people of Israel many times. Therefore it was proper that Jesus would show Himself to them like He presented Himself to the humanity of the Earth. ‪This is why God has chosen this day to start the mission whose goal is to manifest to all the peoples of the universe the salvation of the Lord. 3. ‪‪The beginning of the universal mission is the phase that directly precedes the glorious coming of Christ, which will put to an end history as you know it now and will mark the beginning of the new creation. ‪Prior to this, according to the words of Jesus, it is necessary that the Gospel of the Kingdom be proclaimed to all peoples. Everything that exists must be recapitulated in Christ in order to be able to enter the new creation. ‪Today, the brothers faithful to God are leaving to announce that Jesus has saved mankind and that the kingdom of Lucifer is about to end. ‪The planets awaiting this announcement are many. Many are the men and women who have to be set free from the slavery of sin and from the submission to the forces of darkness. ‪Be aware of the greatness of this day and rejoice! ‪A mission is starting which has never seen the like up to this day. According to the course such mission will take ‪depends the fate of ‪‪the whole universe: the faster the proclamation of salvation will be given and accepted, the more will be hastened the glorious return of Jesus. ‪Therefore pray for your brothers missionaries in the universe and for those who await salvation so that their hearts be opened. ‪‪Let us now turn to the situation of the Earth. ‪Your humanity should have been in charge of the entire universal mission, but voluntarily subtracted itself of such a task. ‪The reality of the universe is hidden from the eyes of most of you, both for the stupidity and unbelief of your political and religious leaders, and for the substantial coldness of your humanity toward God. Therefore the humanity of the Earth must surrender to that of Alpha Centauri, and inevitably step down in second place. ‪God’s decision with respect to the Earth is to be seen in a perspective of justice but also of goodness and mercy. God could not have allowed a frail and unprepared humanity like yours to carry the burden of such a big responsibility. It would have been different if most of the humanity on the Earth had responded to the Lord’s call: it would have been quickly prepared by God, with the help of the faithful brethren and joined in this mission by other humanities, as it has been explained to you many times. But this did not happen. However, God has not forgotten His children of the Earth who are faithful to Him, who have suffered and offered to Him their lives. ‪He has not forgotten the prayers and tears of the prophets and of the saints, nor the blood of so many martyrs. ‪Above all, He has not forgotten what His Son said, did and suffered on this planet of yours; nor did He forget the infinite merits of the Blessed Virgin Mary and of St. Joseph. ‪Thus God has left to the small remnant of the Earth the task and privilege of evangelizing the Earth itself. ‪He could have sent the faithful humanities on your planet to accomplish what you have not yet done, considering that the Gospel, still, has not been preached to all the nations of the Earth. ‪God, however, wanted to leave to you all initiatives to evangelize the Earth. ‪The faithful brethren will simply limit themselves in helping you, in the manner and within the time laid down by God. He has promised you their help, and they will come, because God keeps His promises. Their intervention, however, will be much more limited than what it would have been if the Earth had responded positively and had been at the head of the mission; also this is the righteousness of God. ‪The task of evangelizing your entire planet is up to you which is in dire need of it. It is paganism which essentially reigns upon the Earth; men’s hearts are far away from the true God. All nuclei that were formed in recent years, especially those that are fundamental nuclei, have the task of opening the way for those who are of good will. God does not ask great works of you, but rather to live and witness the life of God and to fraternal life according to the laws of God. ‪‪And so the time has come to overcome every division and discord and to work together for the Kingdom of God. It is time for each of you to work on becoming perfect, and for each nucleus to seek fraternal communion as the highest good and as the real strength capable of evangelizing. ‪Know that authentic communion is your first testimony and the basis on which any extraordinary intervention of God is founded. Not even the faithful brethren will be able to help you if you are not united, if you do not love one another with a true heart. They would never come to visit a nucleus where there are quarrels and contentions; it would not be a favorable ground for their action. ‪Therefore improve your life and aspire to holiness. ‪You have been told that immaculateness, the offering of ones life and communion are the cornerstones of the kingdom of God; therefore try to live with integrity, as a constant offering to God, in communion with one another and with the whole Mystical Body of Christ. ‪Pray for the dead, so that also the souls in Purgatory can fully participate in God’s plan and be recapitulated in Christ. ‪Your prayer is important to them, as well as their prayer is important for you. ‪Baptize in the Holy Spirit and fire as many souls as possible according to what you have been taught, so that all those who may wish to do so, can draw the grace of baptism and enter and become part of God’s people. ‪Even if you will not move physically in the universe, like the brothers faithful to God will do, nonetheless, in spirit you will participate to their mission, and they count on your prayer. 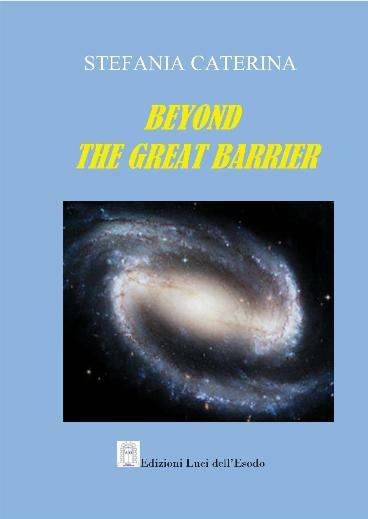 Feel that you are participating in all respects to the great universal mission. Participation in spirit is no less important than the physical one and the task that awaits you on Earth is certainly not of secondary importance. You will have difficulties, because Lucifer will be more and more angry toward God and toward the children of God; if you remain faithful to God and His laws he will not be able to do any harm to you. ‪Stay united to the powerful instruments of God at this time: angels, Central Nucleus and the brethren faithful to God; live with them an authentic communion in order to be protected and supported. These instruments continually intercede before God for humanity; now they have the task of opening the road, with their prayers and with the donation of themselves, to all those who will evangelize the universe and the Earth. ‪This day marks an even clearer division between the children of God and the children of darkness. ‪Lucifer will be further weakened by the power that will emit in the universe with the taking off of the universal mission. Lucifer has always opposed to such a mission, but he knows he is unable to delay it any further. ‪The ferocity with which he will act will serve to hide his despair; thus do not fear him but combat him with the weapons of faith and truth, by remaining united to God and you will always be victorious. ‪Have courage and proceed secure. ‪Do all that you are able to do within your reach, according to your originality, to the place and the circumstances in which you live and in which you find yourselves. No forcing and no fanaticism! ‪Live the Gospel with simplicity as well as the teachings you have received and will receive. You will be given everything you need to always better understand your mission. ‪God does not abandon the Earth in no way, on the contrary, He wants that everything good that exists on your planet be attracted to Christ through your testimony; you will have plenty of help. 2. ‪‪From now on you are called to a greater discernment: do not waste your strength to try to change the hardened hearts who do not want change. ‪Your attention must be directed to people of good will, who do not know God because of ignorance but who are willing to be instructed. Do not fall into the trap of getting started to discuss with those who reject your testimony, do not try to convince anyone. ‪Be respectful to all, do not judge anyone, be ready to bear witness if you are asked, but do not waste time. ‪Learn to distinguish between those who ask questions because they want to know the truth, and those who put questions because they want to set a trap and make you fall, as did the Pharisees with Jesus. Do not answer these people, and leave it up to God to deal with them. ‪He who does not want to see the truth will be satisfied: little by little he will not be able to understand anymore what is the truth and will enter into deeper and deeper darkness. ‪Everyone will have what he has chosen. ‪Fear not, little remnant of the Earth, little flock loved by God! ‪Begin to raise your head because the One who is your light is approaching: the glorious Christ, hope of the nations. ‪Go forward decidedly toward your freedom! ‪Do not look at the hardness of hearts around you, do not be put off by the miserable condition of the Earth, but fix your gaze on the true God and upon the star that shines for you: Mary, your mother, daughter of God and daughter of your humanity. ‪Do not deal with those who refuse God’s life and are already dead, even though apparently they live. Be occupied instead with those who want to be born again from above. Understand the words of your Lord and Master who said: “Let the dead bury their dead; you go instead and proclaim the kingdom of God”.